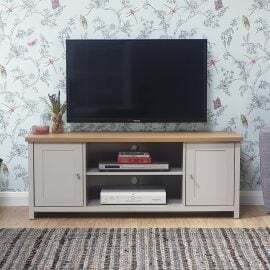 The Large York TV Unit has all the features of the smaller version with a double shelf, rear cable entry and adds even more storage space with a second storage cupboard. 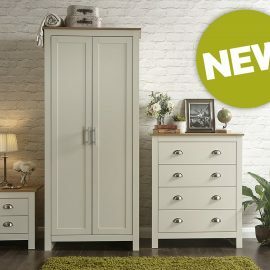 It is available in a modern soft grey or cream finish with contrasting oak veneer top, the two handy cupboards on either side of the unit are fitted with satin silver knobs. 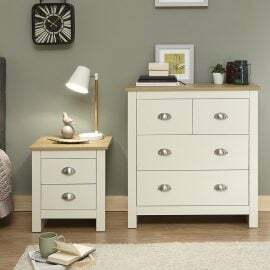 The Nigella 2 Drawer Bedside is bursting with Scandinavian style and is understatedly elegant. This bedside table is the ideal companion for the minimalist style interior. 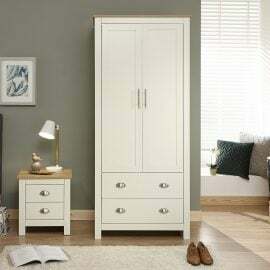 With 2 9-litre drawers and wooden “Scandi” legs. The York 2 + 2 Drawer Chest is a stylish shaker-inspired chest of drawers that’s perfect for kitting out a bedroom in first-class style. The sleek lines, soft grey or cream foiled finish with contrasting oak effect tops and brushed steel handles create a sophisticated impression. 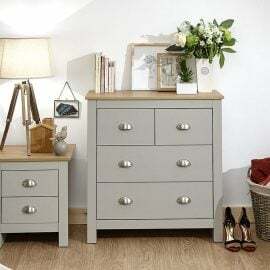 The chest of drawers provides effective storage with 2 small drawers and 2 large drawers. Ideal for a room where understated elegance is the goal. The York 2 Door 2 Drawer Wardrobe is a stylish shaker-inspired wardrobe that’s perfect for kitting out a bedroom in first-class style. The sleek lines, soft grey or cream foiled finish with contrasting oak effect tops and brushed steel handles create a sophisticated impression. 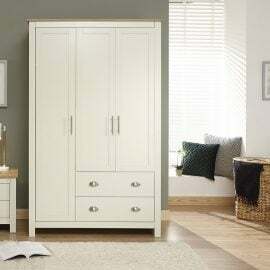 The wardrobe provides effective storage with a good mix of hanging, drawer and shelf space. Ideal for a room where understated elegance is the goal. 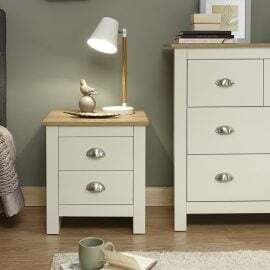 The York 2 Drawer Bedside is a stylish shaker-inspired bedside table that’s perfect for kitting out a bedroom in first-class style. The sleek lines, soft grey or cream foiled finish with contrasting oak effect tops and brushed steel handles create a sophisticated impression. 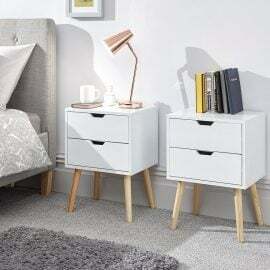 The bedside table provides effective storage with 2 drawers. Ideal for a room where understated elegance is the goal. The York 2 Drawer Coffee Table features two extremely convenient push/pull drawers with satin silver handles and a large lower shelf. 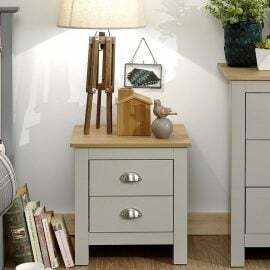 It is available in a modern soft grey or cream finish with contrasting oak veneer top. 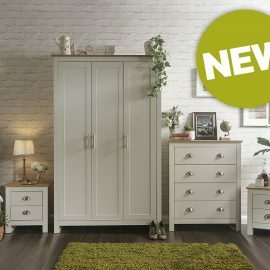 The York 3 Door 2 Drawer Wardrobe is a stylish shaker-inspired wardrobe that’s perfect for kitting out a bedroom in first-class style. The sleek lines, soft grey or cream foiled finish with contrasting oak effect tops and brushed steel handles create a sophisticated impression. 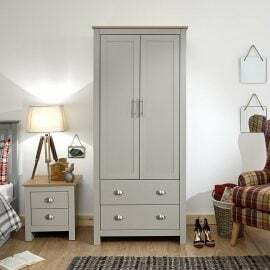 The wardrobe provides effective storage with a good mix of hanging, drawer and shelf space. Ideal for a room where understated elegance is the goal. A stylish shaker-inspired furnishing trio that’s perfect for kitting out a bedroom in a first-class style. The sleek lines, soft grey or cream foiled finish with oak tops and brushed steel handles create a sophisticated impression. The wardrobe, four-drawer chest and neat lamp table provide effective storage with a good mix of hanging, drawer and shelf space. Ideal for a room where understated elegance is the goal. It’s easy to create a bedroom that showcases effortless chic, with this stylish four-piece furnishing pack. The Shaker-inspired design exudes understated luxury. 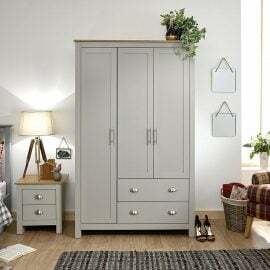 Comprising a three-door wardrobe, four-drawer chest and pair of neat lamp tables, each piece is finished in cream or grey with an oak top and brushed steel handles. 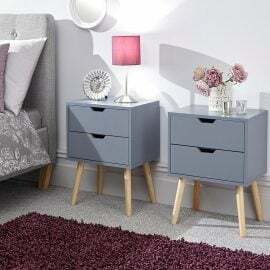 A well-thought-out mix of hanging and flat storage that’s suitable for a double room.